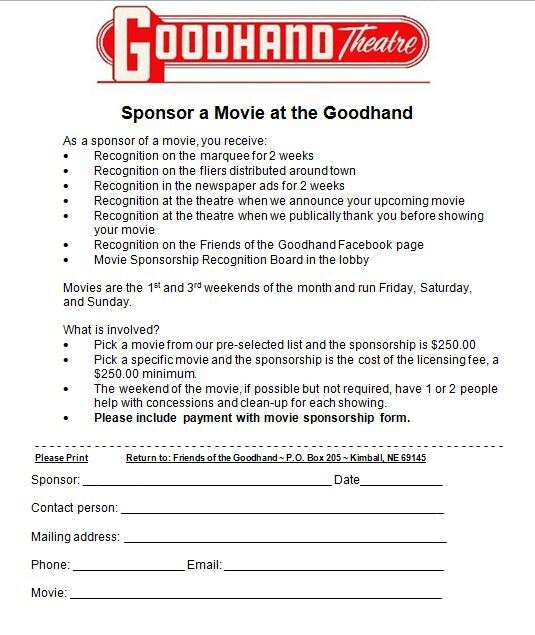 Helping sponsor the movie helps Friends of the Goodhand use the money for other expenses other than what we would have been spending to pay for the licensing fee. Each movie that we show costs the Friends of the Goodhand an average of $350 that we have to pay to the movie studio industry just to be able to show these movies in public. We want to continue to be able to bring movies back to the Goodhand. Your generous support helps continue allowing us to provide free admission to the Goodhand Theatre. How do I Sponsor a Movie?